Disaster for one fan with no front-facing camera. 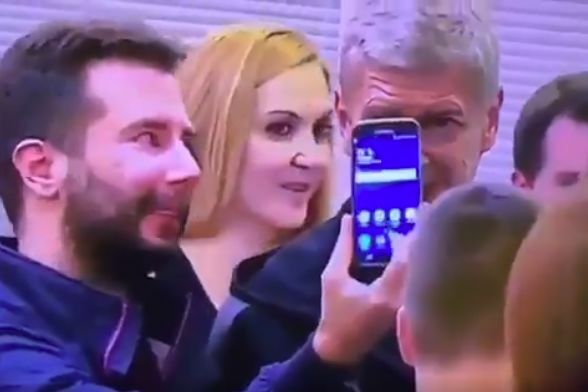 See one fan’s selfie with Arsène Wenger fail after he manages to press the wrong button without realising it at the time. The man’s disappointing moment was shown on Sky Sports News which was providing rolling coverage of Arsenal stories on Wednesday. With no front-facing camera available, he was forced to play a guessing game when trying to reach for the shutter button and the television cameras captured his inaccuracy. At least no one saw it tho..